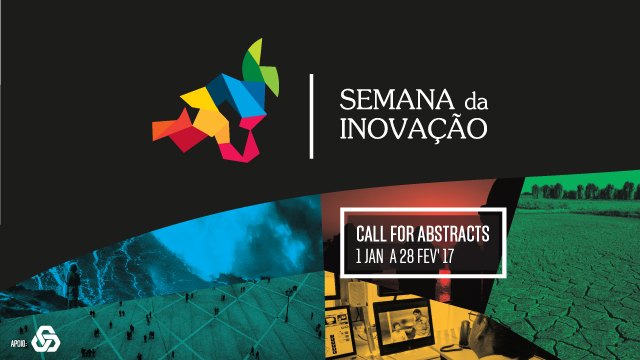 The University of Lisbon (ULisboa) will host the 3rd Innovation Week between 3 and 9 May 2017, when the Annual Conferences of the Interdisciplinary Thematic Networks of ULisboa will take place. Intending to become a privileged forum for the presentation of scientific and technological advances in the areas of Agro-Food and Forestry (RedeAGRO), Health (RedeSAÚDE), Urban and Intelligent Mobility (RedeMOV), Sea (RedeMAR), and Entrepreneurship and Knowledge Transfer (RedeVALOR), the 3rd Innovation Week covers strategic areas of the ULisboa, bringing together national and international scientists and stakeholders from the public and private sectors. The Annual Network Conferences will take on a new format in 2017, in which the participation of young researchers will prevail, giving them the opportunity to publicly expose and discuss their activities with academic, social and economic partners.